A mischievous mercenary from wintry Garenia and her long-suffering sister set aside their differences to compete in a tournament of arms. But when an old friend appears in the company of mysterious relic hunters, the past can no longer be denied. Sacred Earth - Promise is a four- to six-hour visual novel/RPG experience set within a fantasy world of floating continents and ancient ruins, with a dynamic custom battle system and a compelling cast of characters. Free Demo Available. Full Release to follow on the 24th. 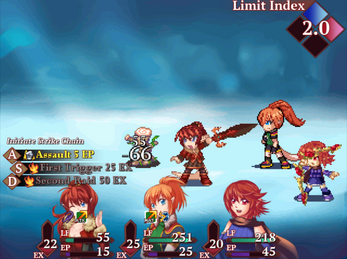 · Three playable characters with their own animated sprites and special attacks. 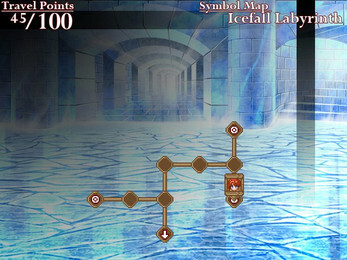 · Multiple difficulty modes to allow casual players and thrillseekers alike to find just the right challenge for them. · Tactical, fast-paced combat: Utilize multiple-hit Chain attacks to build up your EX Gauge and expend it to unleash powerful Burst attacks or heal with EX Recover. · Two ways to explore: Transition between traditional tile maps and the original boardgame-style Symbol Map system for dungeon navigation. 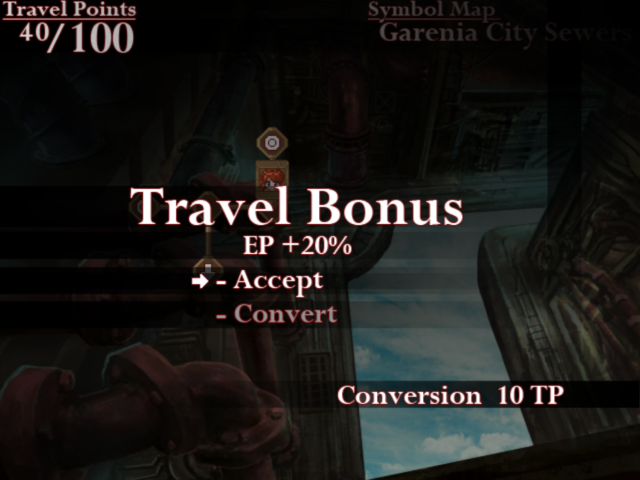 Manage your Travel Points to evade traps and gain the initiative in battles, and enjoy party interactions in the field. 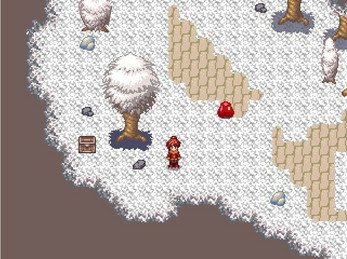 - 10 side quests, including clever puzzles and challenging optional battles. - 30 full-color CGs and concept art. Available for viewing after game completion. 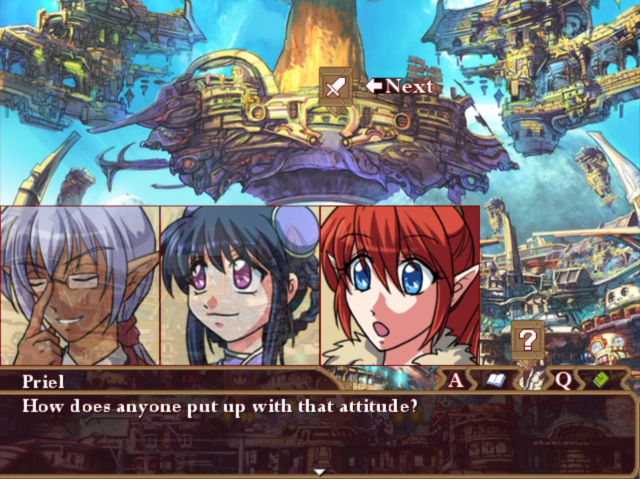 · An engaging presentation with moving portraits that displays conversations between up to four characters at once, with anytime-save and backlog features. · Fully explore the game's world and quests and unlock the true ending. Interesting design choices for battles, I also like the dungeon exploration phases where all decisions make sense and you can measure risk v. reward precisely (no "do you open that chest? it may explode... or not"). It would be even better if we could check the character statuses during the choice prompt, as sometimes it's crucial to know if your character has many HP left or not before risking evading a trap (as in Darkest Dungeon, you could show the party status at any time on the HUD; or allow the player to enter the menu to check it, only disabling Save as we are in the middle of a prompt; or you could remap Escape to Cancel the tile exploration, so the player can open the menu, then come back to make his/her decision). It's also a bit hard to know when exactly you can press ASD to chain moves, but I think you've already received feedback on this. Demo is broken on itch.io desktop application because it doesn't show up as an installable file; please fix your download. I didn't set it to Windows, which is why it didn't show up in the app. I have several games already in my queue (yay Broketober) but I'll give the full version of this one a go if/when it ever goes on sale. 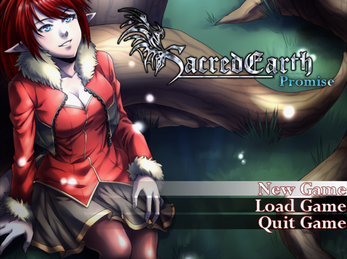 As a hopeful developer, I must ask, is anyone and the Sacred Earth development team interested in future works? Might I ask what exactly you mean by this? I think they mean is there a sequel planned (or other games in the same universe/series). Well, I can't speak about anything specific or definitive, but we're always thinking about future endeavors and how to proceed forward. I just played your game on "Hard" difficulty and I loved it! The game is really well made and I fell in love with the "Darkest Dungeon" like map design. 1.) The first boss in the sewers killed me two times because I did not fully understand the battle system back then. The small fights were over after 2 or 3 turns so this fight was the first that took way more turns. Maybe I should have read your explanation about the battle system more carefully but if I remeber correctly it was not mentioned that you could use "Arts" and "Exeed" multiple time in one turn as long as no attacking move is used. When you have 100 EP you can use 3 Support Arts and finish your turn with a Chain or Attack Art. Of course a player will eventually find out about that but was it your intention that players had to discover that themselves? 3.) After I discovered the whole dungeon map I had to backtrack to the first area in which you can freely walk round. I did not notice that you can interact with the computer console to unlock the next room. It doesn't look any different to other things that are in the room. And since this is the first console a player is very unlikely to click on it. Later on when you are looking for the spare part to repair the bridge console a small sparkle tells you where to look. Is it possible to change the design/colour of the important consoles so that they are easier to distinguish from plain consoles? 4.) 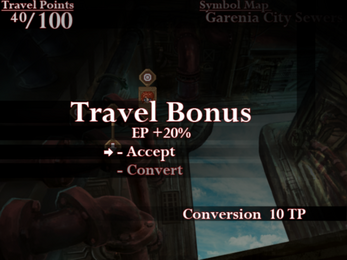 I really like the fact that you can see the whole dialog by pressing "A". It is also a very nice feature to be able to save mid dialog by pressing "Q". I have never played a game like this where this is possible. Sadly I did not know this until I had to go through the sewer boss dialog a third time and just pressed the button to see if I could skip it. Maybe you could explain these dialog features as well :) I don't want players complain that they have to go through all the arena fights again because they lost the final round. Hello! Thank you for playing the demo. 1.) This is actually already said in the tutorial. 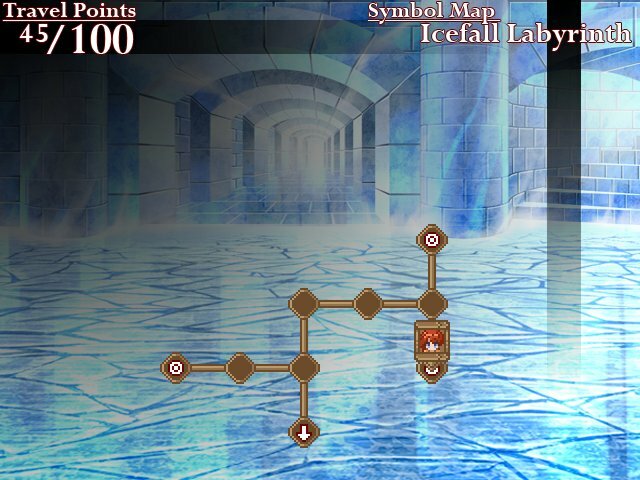 But in the full version, players will be able to check on tutorial information again to refresh themselves. 2 & 3.) These are good points, and I've made the appropriate edits to make things more visible/logical. 4.) Information on dialogue features are in the tutorial library in the full game, and I've added a reminder near the beginning about it as well. 5.) Like 1, this is also said in the tutorial. But it's possible to check it again, but going to the tutorial library in the full game. ...And that's it. Thank you for the feedback. It's very valuable, as no game is created perfect. Especially not ours. But I hope that people will have fun with it anyhow. While I was reading the description of the game I been fascinated about the story and the graphics, I think you would improve your page by giving a dark background or a dark letter, because it is a little bit hard to read with that bright colors. I love the way you do the game. Hello. I've darkened the background a bit. Hope that helps. Now I can read as never before UUUUJJJUUUU. Background looks much better and is easier on the eyes, thanks!